Hyder Consulting’s Wael Allan tells Stuart Matthews about the changes made to focus the company on the business that matters. Right at the start of 2010, with much fanfare and fireworks, the world’s tallest man-made structure was officially opened. The Burj Khalifa was one of the most anticipated, watched and reported on construction projects of all time and its opening is also ranked as the best moment so far, in the tenure of Hyder Consulting’s regional managing director Wael Allan. While it would be easy to think that the day after such a momentous project is brought to a public finish, the work would be finished too, but that’s not the case. 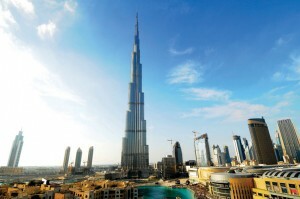 The Burj Khalifa is still an ongoing job for the company. “Although the building itself is the icon and the ultimate achievement, when it was opened there was still a lot of work to be done and we continue to support Emaar,” said Allan. An engineer with a background in chemical engineering and biotechnology, Allan has spent 20 years engineering everything from pharmaceutical factories and petroleum plants in different countries around the world, while also developing what he describes as a ‘strong multi-national business background’. The role with Hyder came along around 18 months ago, at a time when the construction industry in the region was facing up to significant challenges. Allan’s remit covers the entire Middle East region, which means the three offices in the UAE, plus the Doha and Bahrain operations. Recent additions include new offices in Riyadh and Jeddah, but the Middle East region also has countries such as India and Turkey under its umbrella. The office also draws on resources from the group’s two global design centres in Bangalore and Manila. The Manila office serves as Hyder’s global ‘centre of excellence’ for its MEP design work. With challenging times come tough decisions. Having enjoyed a long regional boom, the sudden slow down meant there was a need for restructuring and staff cuts. Focus was the company’s response to the situation. Allan pushed to renew the focus on clients and structured the business to suit their needs. He explained Hyder also shifted from being an inward looking organization to one that is outward looking. Hyder’s declared core competency is acting as a design and advisory engineering consultancy. It has a focus on transport and infrastructure, property, utilities and the environment, all of which Allan says will continue to be at the company’s heart in this region. Allan is conscious that the times of companies being ‘too big to fail’ are long gone. His belief is that an agile and rapid response to a client’s needs, essentially great adaptability, is the only protection. Allan isn’t expecting an easy ride ahead, but is confident that the changes made in the structure of the business will pay off. The strategy is one of growth. Shareholders, clients and employees alike will wait to see if the strategy pays off. Last year the company enjoyed a backlog from previous years, posting £106.9 million (US $161 million) in revenues for the Middle East region and an adjusted operating profit of £8.3 million (US $12.5 million). That backlog has gone now and the challenge is for the company to keep securing new work, work that both matches its aspirations and provides good value to clients and shareholders. At the time of the interview Allan was waiting for word on two major public sector bids, including one in the UAE, the winning of which he saw as absolutely essential. Allan is of the opinion the company has not spent enough time understanding the needs of public sector companies. Work has been done gathering information on how those organizations work and to align Hyder’s objectives with their objectives as a client. The groundwork for this was started in 2009 and Allan hopes to see it come to fruition this year. Cash collection has also been an issue in the past and was noted in the 2009 group results, with Allan pointing out that while the Middle East offers good profitability, working capital is ‘an issue’. “Part of it is cultural and part is our people not having good discipline,” he said “It isn’t really just an issue with clients, it’s also an issue with us. We have introduced a culture of accountability and responsibility, making sure our project managers run their projects as a business, giving value to the client, but also getting paid on time. The results are showing through already, with Allan happy to say that all new projects are paid up on time and that legacy issues are being dealt with. Globally the company has been doing well with the UK-listed share price rising from 74 pence in March of 2009 to 294 pence on June 28, 2010. Having global interests helps, with the Middle East region contributing about 33% of the company’s order book. While work from Dubai has slowed, Hyder is still engaged on projects that Allan says will demand plenty of resources for the next year or two. He cites the Pentominium Tower – slated to be the world’s tallest residential building – which is in the process of moving to the site supervision stage, along with ongoing work on the Burj Khalifa, as two key endeavours. Elsewhere Abu Dhabi remains a strong source of work with Hyder recently winning work on the New York University project with Mubadala. Qatar too is seen as a growing market, despite being ‘slow to take off’. But, like most others, Hyder recognises Saudi Arabia as a place where a great deal of investment will happen. The profile of Hyder’s work in the region has changed a little from the boom days, with the weighting toward property shifting to a more equal split between property and transport and infrastructure. That said, according to Allan, its property sector remains profitable and growing. The use of global design centres in Manila and Bangalore has added a ‘productivity factor’ to the company’s operation, helping it to produce things faster, where standardised designs are required. According to Allan the company’s systems are geared toward completing projects, no matter where they are. Allan talks a lot about alignment and emphasises the importance of lining up Hyder’s capabilities and offerings with the needs of its clients, in the hope of winning a fair share of business with them. He also believes it is no longer enough to compete on price or quality, a company, he says, now needs to be able to deliver both. Allan pitches himself as ‘a realist, but an optimist’ and has a positive outlook on likely results this year, expecting the company to meet its performance targets for 2010 and possibly even its stretch goals. “The outlook for the Middle East will be improved,” he said. “Things are stabilising and we’re hoping that by the end of the calendar year, we will have absolute clarity on where projects are going. “I’ve worked all over, and I am really pleased to be in the Middle East while there is a recession. I do believe there will be more growth in the Middle East, and it is probably the best place to be at the moment.